We've closed our first bi-monthly member poll and the results, while not alarming, do show some interesting stats. For one, social media (i.e. Facebook, Twitter, Linkedin, etc.) is now more often used than old fashioned mail for sending out sponsorship proposals. 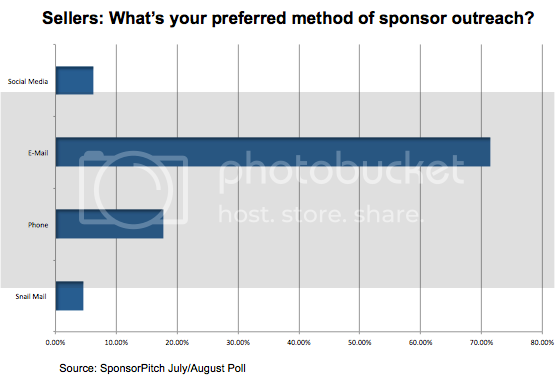 As expected though, email still dominates in terms of initial sponsorship outreach. Next up, we're wondering how far in advance you send out proposals (be honest!). Take part in the new poll and see the results on your dashboard.